Many times we realize the value of good things only when we lose them and our precious set of teeth could be one of those things. A simple carelessness on our part or perhaps a disease or even an accident can cause permanent disfigurement to our teeth. Cosmetic dentistry could be a modern day solution to these problems. It has the ability to restore and beautify our teeth so that we are no longer embarrassed in social circumstances. Now every kind of dental problem whether it is yellow teeth, tooth decay due to germs, broken or misaligned tooth, chipped teeth and even in cases where a tooth or teeth have fallen out due to disease or accident can be taken care of, thanks to cosmetic dentistry. Cosmetic dentistry focus on improving or modifying the appearance of the patient’s oral cavity and surrounding area to prevent or treat structural, functional or organic oral diseases. Cosmetic dentistry can restructure the appearance of a person’s mouth so that it is more visually appealing and enhances the looks and personality of the patient opting for such a surgery. The common treatments that fall under the category of cosmetic dentistry or any other state are teeth whitening or tooth bleaching, enamel shaping, veneers and bonding. Even the dental filling and materials for teeth restoration that were used earlier for cosmetic dentistry were made of gold, amalgam and other metals. Some of them might have been veneered with porcelain. The recent innovations have made it possible to completely use porcelain or composite materials that closely resemble the natural set of teeth. Colorado Family Dentistry provides a variety of options to the person who wants to go in for a restructuring of his or her dental structure. 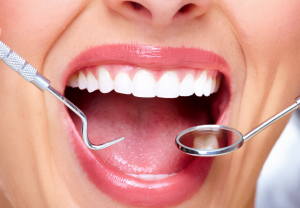 The most common recommendation for a cosmetic dental procedure is that of teeth whitening. Regular substance abuse, consuming edibles of extreme temperature like too hot coffee or frozen desserts can severely alter the color of our teeth, giving them an unpleasant tinge of yellow. A dentist supervised process can make our teeth regain their gleaming whiteness. A small chip in the teeth can be corrected by the process of enamel shaping that is another tool available under cosmetic dentistry. This process removes part of the contouring enamel that improves the appearance of the tooth. Another option under cosmetic dentistry for chopped or broken teeth will be that of bonding. In this process enamel-like composite material is attached to the tooth’s surface, molded into shape, hardened and then polished. Colorado Family Dentistry has the solution for people who may be embarrassed to admit in social situations that they have gone in for such a dental procedure. The extensive use of porcelain or composite material for dental work makes cosmetic dentistry undetectable in the people who have opted for it. This has induced many more people with dental problems to step out into the forefront and get rectification measures implemented on their teeth. Overall, we see that cosmetic dentistry has brought hope to a lot of people who had earlier been suffering quietly.